I didn't ask for any of this. I didn't ask to be some kind of hero. But when your whole life gets swept up by a tornado--taking you with it--you have no choice but to go along, you know? Sure, I've read the books. I've seen the movies. I know the song about the rainbow and the happy little blue birds. But I never expected Oz to look like this. To be a place where Good Witches can't be trusted, Wicked Witches may just be the good guys, and winged monkeys can be executed for acts of rebellion. There's still a road of yellow brick--but even that's crumbling. My name is Amy Gumm--and I'm the other girl from Kansas. I've been recruited by the Revolutionary Order of the Wicked. I've been trained to fight. And I have a mission: Remove the Tin Woodman's heart. Steal the Scarecrow's brain. Take the Lion's courage. 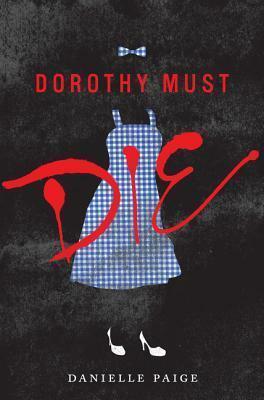 And--Dorothy must die. But when your whole life gets swept up by a tornado--taking you with it--you have no choice but to go along, you know? Sure, I've read the books. I've seen the movies. I know the song about the rainbow and the happy little bluebirds. But I never expected Oz to look like this. To be a place where Good Witches can't be trusted, Wicked Witches may just be the good guys, and winged monkeys can be executed for acts of rebellion. There's still a yellow brick road--but even that's crumbling. My name is Amy Gumm--and I'm the other girl from Kansas.